Which Mascara and Eyeliner is the Best for Green Eyes? There are very few women who are lucky to have green eyes. It is their gift. Due to the fact that not so many people have green eyes, they are said to have special features of character that differ from all the others. They have a very strong personality. At the same time they can be very kind and loving. People with green eyes are always very reliable friends. They are not very demanding and like to have balance and harmony in everything. In addition such kind of people are able to evaluate their possessions and think over their every step. On the other hand people with green eyes may also be philosophers and dreamers somewhere deep inside their souls. They can combine the qualities of a skillful manager together with sensitive and devoted partner. You may be interested to know that people with green eyes are always dream of their ideal soul mate. Nevertheless they are not eager to change something in their current partner in real life. If it comes to women with green eyes, they are considered to be witches. They are also believed to have magic powers which help them to seduce any man they want. These women are always very attractive and admired by all men. But they are very reliable and devoted wives. You can hardly find a woman who is more trustworthy than the one with green eyes. Natural beauty of green eyes along with correct shading and beautiful make-up is one of the strongest forces you have ever met! 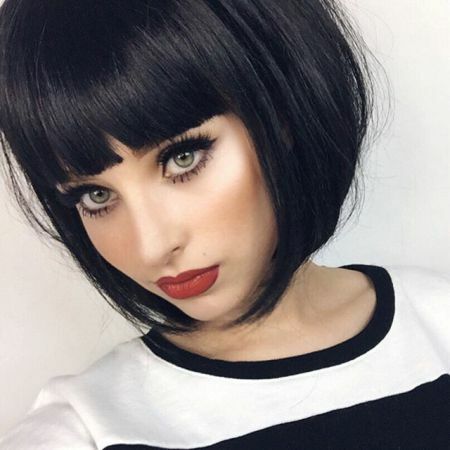 If you want to reveal the real power of green eyes and make your look as attractive and seductive as possible, you need to be very careful while choosing mascara. You need to consider lots of details as well as the color of your hair. Experts recommend using dark-brown or black mascara with green and purple shades. If you need mascara for green eyes, you can choose among such popular brands as Oriflame (Wonder Lash Eye Enhancer Mascara - Purple Shimmer), Max Factor (Eye Brightening Tonal Black Volumising Mascara Black Ruby), L’Oreal (Volume Million Lashes Luminizer Green Eyes) and others. A soft eye pencil is an essential toll for the women. It is used to draw a thin line on the upper or lower eyelid in accordance with direction of lash growth. Some women also use shading in combination with thick line. No matter what variant you will choose, the main thing is to choose a eyeliner of suitable color. Women with magic green eyes are recommended to use bronze, dark-grey, chocolate, brown, gold-brown eye pencils. Sometimes violet, emerald and purple colors will also be a great option. 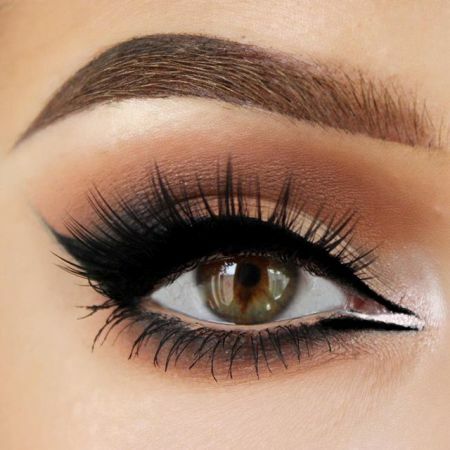 You should take into consideration a natural brightness of your eyes while choosing the most appropriate make-up. Some of the shades call for a specific make-up, like jade eyes. In this case make-up should very bright. Dark-brown colors would be a perfect choice. Few people know that green eyes have a very slight blue shade that can be hardly noticed with a naked eye. This color is sometimes also called teal. It will create a perfect combination together with grey eye pencil and blue shading. “Cat” eye can sometimes have fawn glimpses. You shouldn’t try very hard in order to stress it. Make-up must be very discreet. 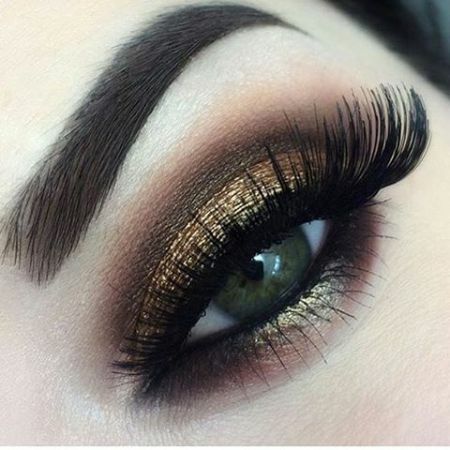 All you need is a little bit of gold-olive color for the make-up. Women with grey-green eyes should also avoid bright make-up. Sensitive light colors would be the best choice. Like the article «Which Mascara and Eyeliner is the Best for Green Eyes?»? Share it with friends!